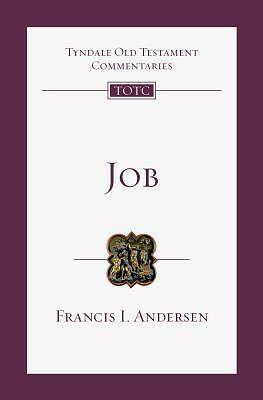 For Francis Andersen, the Old Testament book about Job is one of the supreme offerings of the human mind to the living God, and one of the best gifts of God to humanity. "The task of understanding it is as rewarding as it is strenuous. . . . One is constantly amazed at its audacious theology and at the magnitude of its intellectual achievement. Job is a prodigious book in the vast range of its ideas, in its broad coverage of human experience, in the intensity of its passion, in the immensity of its concept of God, and not least in its superb literary craftsmanship. . . . From one man's agony it reaches out to the mystery of God, beyond words and explanations." The original, unrevised text of this volume has been completely retypeset and printed in a larger, more attractive format with the new cover design for the series. These commentaries are designed to help the reader of the Bible understand what the text says and what it means. The Introduction to each book gives a concise but thorough treatment of its authorship, date, original setting and purpose. Following a structural Analysis, the Commentary takes the book section by section, drawing out its main themes, and also comments on individual verses and problems of interpretation. Additional Notes provide fuller discussion of particular difficulties. The goal throughout is to explain the true meaning of the Bible and make its message plain.